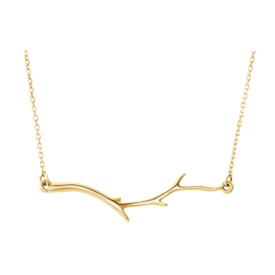 14k gold stylish branch bar design necklace. 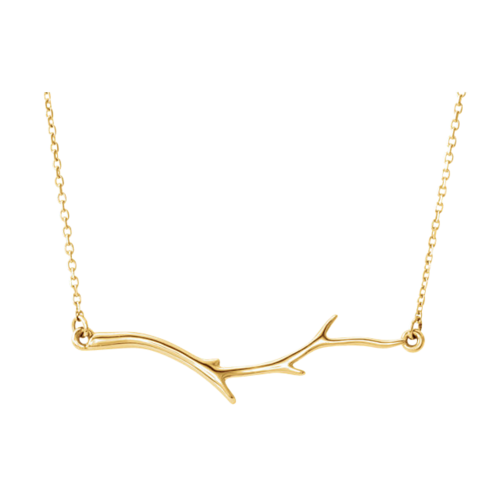 This necklace measures 16 inches and the feature branch design is 37mm in length. This necklace is available in 14k yellow, white, or rose gold. Special order (non returnable) in Platinum. 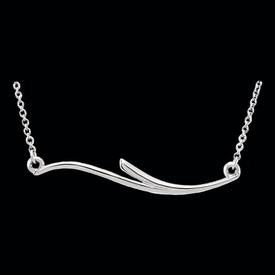 Platinum freeform bar style necklace. 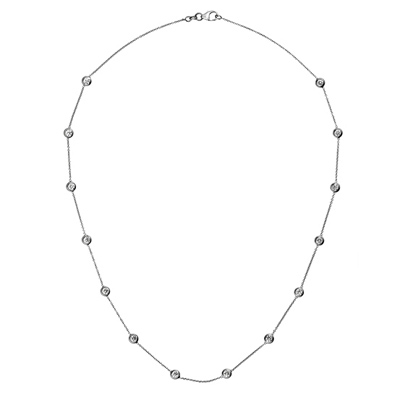 The focal point of this necklace design measures 35.75mm across and is about 5.8mm tall. 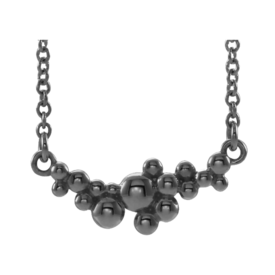 Necklace chain is a Platinum cable chain with spring ring, measures 17.5 inches in length. Affordable luxury for a stylish woman. 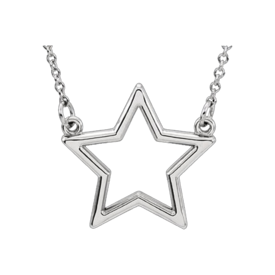 Platinum Star necklace. This great Platinum necklace is 16 inches long and the center Star measures 16mm x 16.5mm. Necklace can be made 18 inches in length rather then 16. A pretty necklace to wear anytime. Gorgeous Platinum Diamonds by the Inch necklace. 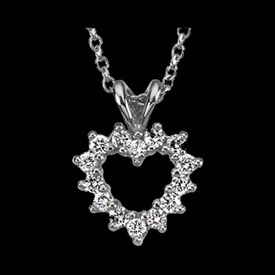 Platinum is 950 in this classic design and there are 14 diamonds 10 points each to create this design. Custom options are available, larger diamonds, additional lengths. Diamonds total 1.4ct tw. 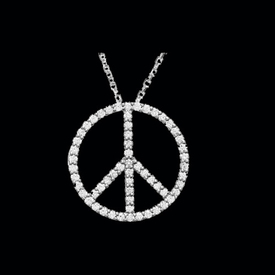 Fashionable Platinum peace sign necklace. This Platinum diamond peace sign necklace is set with 1/3ct tw diamonds and although very small, a great fashion statement. 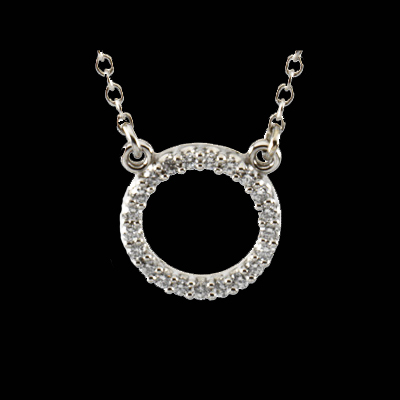 Lovely Platinum diamond circle design necklace. 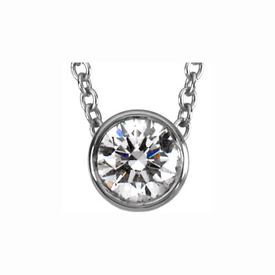 Platinum diamond circle hangs from a solid platinum cable chain and measures 16 inches in length. Diamonds total 1/10ct tw and are SI 1 clarity, G-H color. 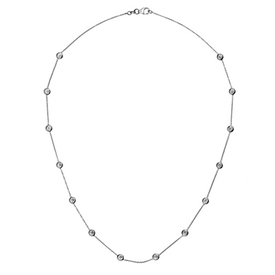 Elite Platinum Diamond solitaire necklace. This Platinum solitaire diamond is 1/3ct tw SI 1 clarity G-H color and slides on an 18 inch Platinum cable chain. Great gift idea. 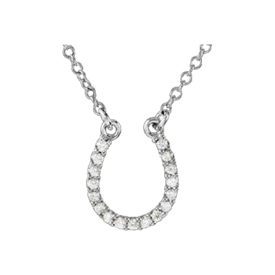 At Gracious Rose, we believe that the platinum necklaces you wear should be unique because they are personal. Our stylish necklaces are made just for you and for all life's occasions. And platinum's pure white shine will be the perfect accent to your style. 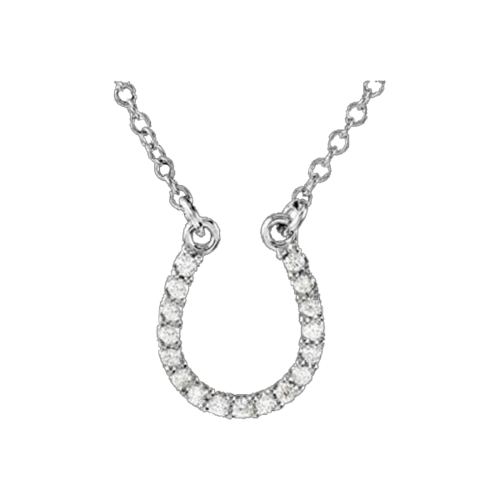 Gracious Rose uses only the highest quality materials and crafts our platinum necklaces with attention to detail. We make sure our precious metals are responsibly mined. We make sure that our growing collection of platinum necklaces has something to fit almost every style. Men's platinum necklaces are available with your choice of chain style and length—chains that match our Bass Pendant, Dog Tag Pendant or Schooner Sailing Ship Pendant perfectly. Worn by itself or with a platinum pendant, our platinum necklace is sure to give any man that sleek feel. From an anniversary or personal celebrations, a platinum necklace can be an everlasting totem you can cherish forever. With Gracious Rose, you can add your own meaning to every design and create beautiful memories. Our jewellery experts can help you match up the finest materials and gemstones. We have a wide range of pendants with symbolism like circles, keys, knots, infinity, initials, and hearts—designs that are meaningful as well as sophisticated. 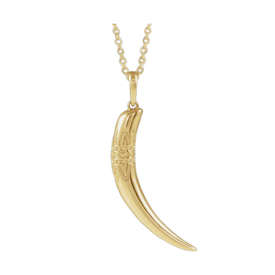 Enjoy a safe, online jewelry shopping experience with Gracious Rose. Our jewellery consultants can help you choose from over 3,500 custom pieces and sophisticated designs and get the stunning jewellery you have always dreamed of. Gracious Rose jewellery makes a perfect gift for weddings, anniversaries, or just any occasion to make someone feel special. 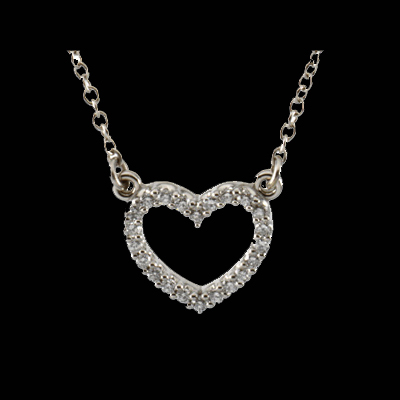 Our platinum necklaces are delicately handcrafted to be as personal and meaningful as they are fashionable. You can now get any piece of jewellery delivered to your home for free shipping on orders of $250 and over in 3-14 working days. If you require custom engraving, overnight deliveries, or other options not highlighted in the product description, you may place a special order. Buy the finest gift you can give to your loved one. 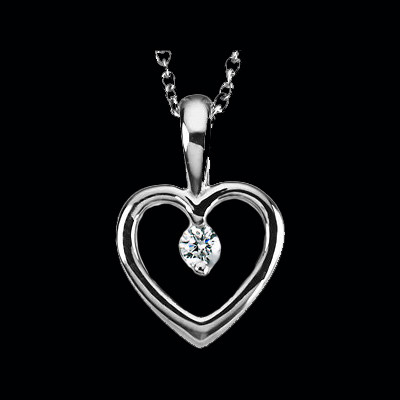 Get a customized platinum pendant for free shipping on orders above $250.